Twin Cities Mortgage Blog: Does Your Loan Officer Wear Lime Green Polka Dotted Underwear? Okay, perhaps that’s a little TOO much information! Perhaps you really don’t need to know what splash of color your loan officer is bestowing on his or her bloomers on any given day. 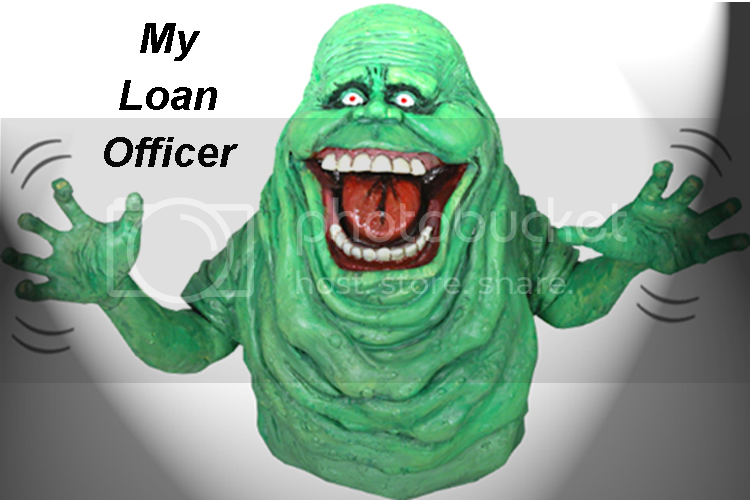 But what you SHOULD know is who your loan officer IS. What do you do? Protect yourself by doing your homework. You have never been in a better position to check out the color of your loan officer’s undies. With social media, licensing requirements and the good ole world wide web, you can get a pretty good recon on the LO you intend on working with. Pure attrition (as I wrote about on Who is Going To Write These Loans?) has definitely wiped out much of the riff raff, but those little stinkers still loom. Whether you are a consumer or real estate agent, it is imperative to check ‘em out. NMLS. Is your loan officer licensed? Remember, as of January 1, 2011, it is REQUIRED. No license, no ability to write a mortgage. Linked In. Great place to check out your loan officer’s resume. Facebook. Whoa! This is a real “personal” insight into your LO’s world. Google. For heaven sakes, this is one of the easiest ways to check out your loan officer…just type in his/her name on the search box. What pages come up? If you see your loan officer’s name right next to the words San Quentin, you may wanna think twice. Ripoff Report. This says it all. FHA Neigborhood Watchlist. This is a policing site that allows HUD/FHA to oversee lender activities and performance and publish this information to the public. Good stuff! BBB. Who does your loan officer work for? What is their company’s rating? More importantly, check to see if there is a list of consumer complaints. Twitter. Is your loan officer tweeting about the next local club they are partying at or are they providing tweets that would be relevant to our profession? There. That should give you a robust start into your loan officer recon search. I just showed the colors of my knickers! Can yours? And nope, mine are not the lime green polka-dotted kind, either. How mortgage loan rates are determined and what causes them to move is an absolute mystery to most folks - and those who think they know are usually wrong. As a former mortgage banker I can tell you that a lot of people in the mortgage industry can't even give you an accurate answer to that question. Before applying for payday loans, we propose that you filter 5-6 organizations for the expenses they are charging. A few organizations offer payday loans with no charge for the main week. PS. We have kept our payday loans costs the same since we began exchanging back in mid 2004 and that is the reason we have the least payday loan charges in Australia! Please continue this great work and I look forward to more of your awesome blog posts. Can I get a loan with a credit score of 650? I was finding loan related stuff because i am looking for how to get loan for home. I think it is enough information for me. Thank you for this.